Too bad I didn’t get to go to the Minnesota State Fair this past weekend. They had a definite fashion don’t on display. It would have been something else to see this dazzling piece of work live and in person. 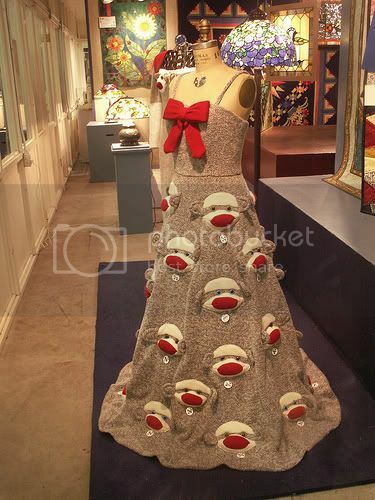 The sock monkey dress is definitely not meant to be worn by the bashful out into public. Find out what I am doing right now by following me on Twitter! This entry was posted on Thursday, August 31st, 2006 at 12:46 am	and is filed under Uncategorized. You can follow any responses to this entry through the RSS 2.0 feed. Both comments and pings are currently closed.